There are so many different brands of bottles on the market to choose from and each one can be completely different from others. You will never know which brand your Newborn baby will take too either so it can be trial and error. 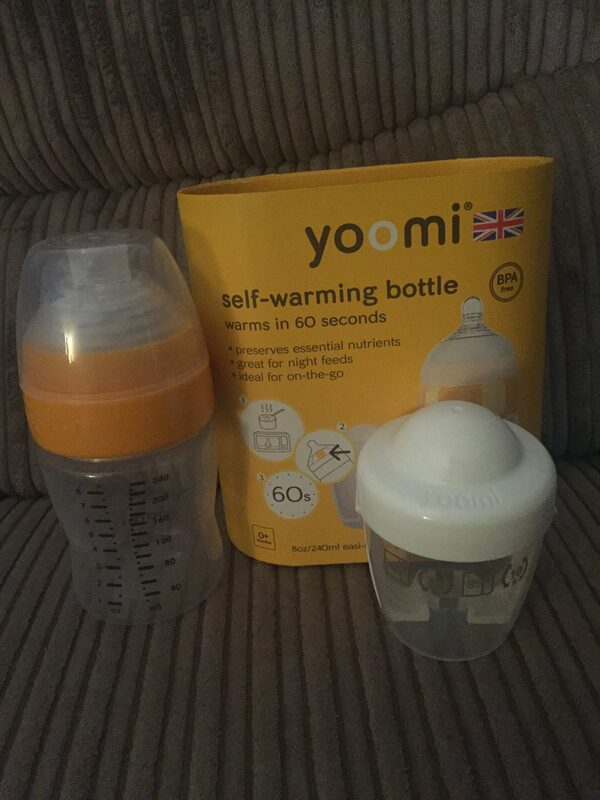 Being a soon to be first-time mum I am going on recommendations for products from family and friends and one of the brands was Yoomi. 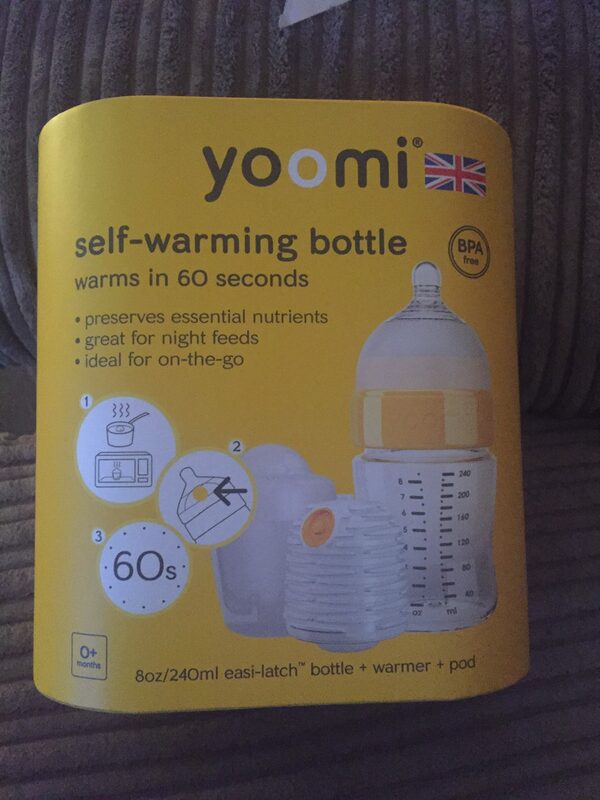 I was offered one of Yoomi’s self-warming bottles to review. I was excited to see what they did and how it would make feeding our baby easier. 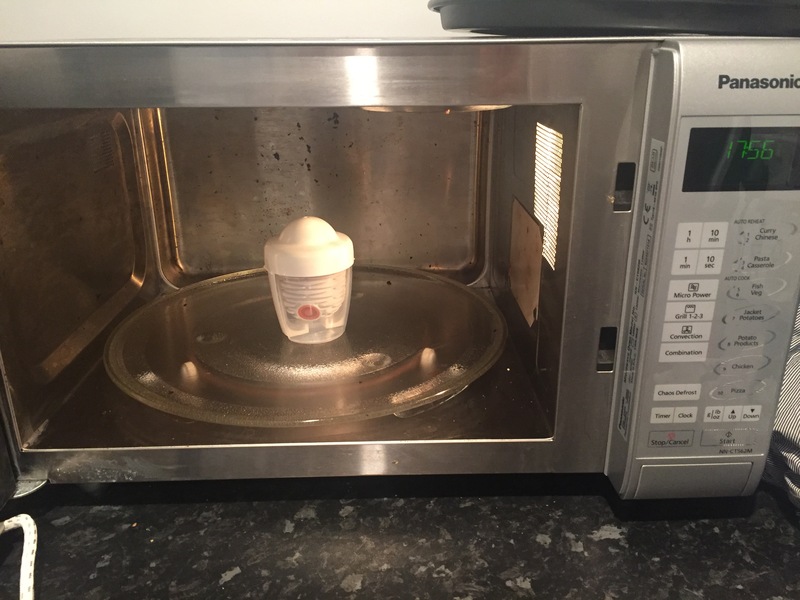 It is so simple to use, simply put the microwavable warmer pod in the container and place in the microwave for approx 60 seconds. Once completed take it out the microwave and place it back in the teat of the bottle, then as your feeding your baby and tipping the bottle up the milk runs through the warmer pod section and makes the milk warm ready for your baby to drink and all at the perfect temperature. Once baby Cooper has arrived I will post him/her using it and let you know what we think. I was sent this product free of charge for the purpose of this review. However, all thoughts, opinions and pictures are my own. This is a great idea. It would be perfect of when my young nephew visits.